Expand your security coverage with the 4-Pack of 1080p HD Security Cameras and view your property in stunning high definition clarity. 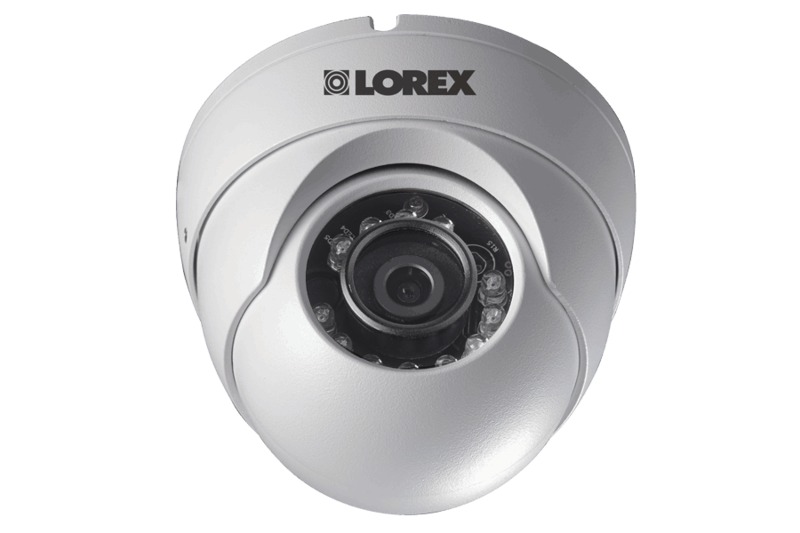 Featuring cutting-edge night vision, a wide 90° field of view, and an IP-66 weatherproof rating, our LEV2522B HD 1080p IR Dome Security Cameras provide you with the confidence that your security cameras will be there for you around the clock. 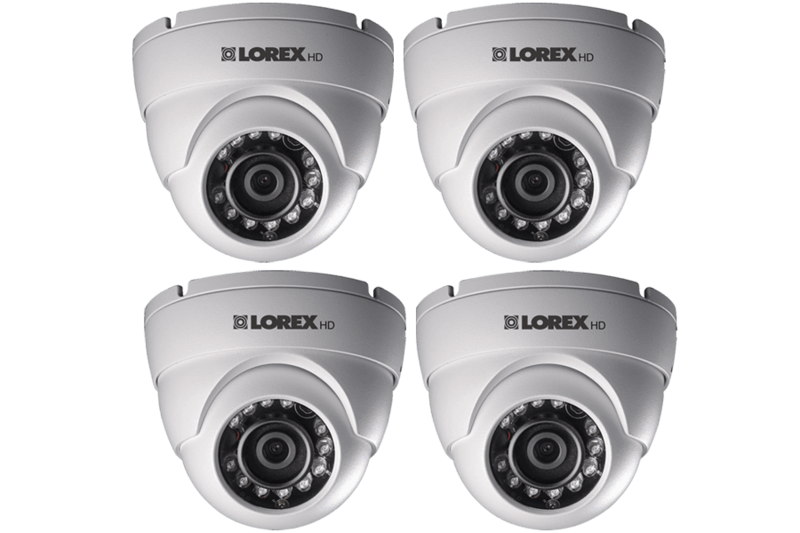 Thanks to the integrated 2mp image sensor, our security cameras provide top-of-the-line HD clarity and smooth on-screen movement. This next generation of the Lorex analog HD platform is compatible with our LHV2000 Series DVR and can be combined with our full range of analog cameras. 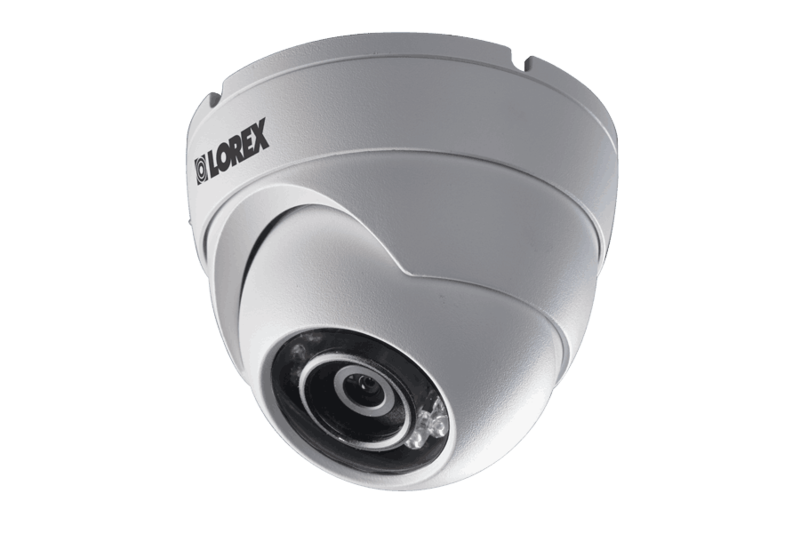 Easily connect this camera to Lorex or FLIR HD MPX DVR. The camera is suitable for both outdoor and indoor applications.